Do you receive more good, bad, or outstanding service? So, I thought I'd answer the question on my blog but also invite your comments too. #1: I receive Good Service most often. I define "good service" as service that meets the customer's expectations. Most of the time, I receive good service. Of course, that quite literally is nothing to write about. I write a lot of blog posts about bad service and a few about outstanding service, but nothing about good service. Why? Because it is literally forgettable. We're programmed to notice exceptions. We seek pleasure and run from danger, but noting every mediocre moment of the day would result in sensory overload. #2: I receive Bad Service less often than good, but more often than outstanding. I define "bad service" as service that falls short of the customer's expectations. 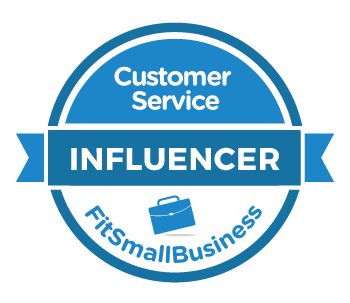 While I don't view myself as being particularly sensitive to poor customer service, I do have a blog to fill and customer service workshops to train, so I pay attention. Bad service does happen quite a bit more than I think it should. #3: I receive Outstanding Service least frequently. I define "outstanding service" as service that exceeds the customer's expectations. This doesn't happen too often, but when it does, yahoo! Free publicity in my blog to anyone (or any company) that provides me with Outstanding Service!